Is your child a party kid? Birthday parties left and right? 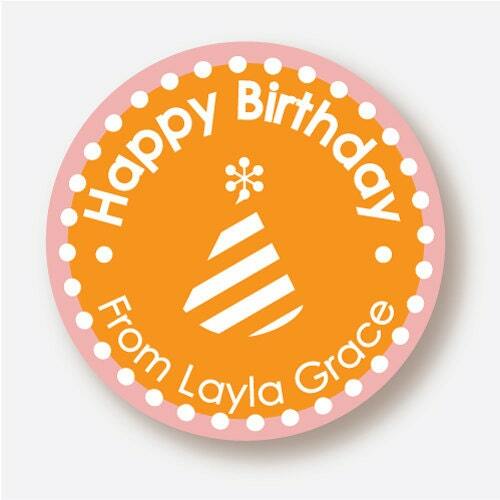 Quickly add these stickers to gift bags or wrapped presents for a cute and personal finishing touch. They can be used in place of a bow or a separate card (and since these are stuck on they won't get lost in a pile of presents!). 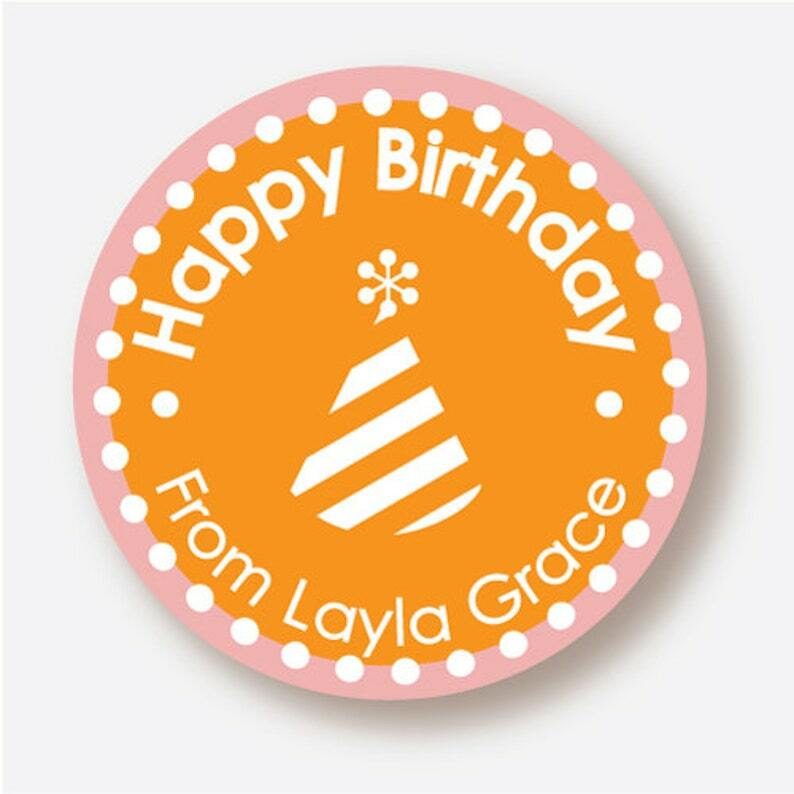 * 24 Labels - 2.5" circles with your choice of colors, icons, and bottom message. * Top message will say "Happy Birthday" as shown but if you prefer a different message just let me know that in the notes section of your order (message can fit up to 16 characters). PLEASE INDICATE the FOLLOWING in the "MESSAGE TO SELLER" section of your ORDER. * Professionally Laser Printed - Vibrant and Crisp Colors that wont run. * Printed on Cover-Up high quality label paper means it will cover up any image underneath and colors won't flake if label is creased. These stickers have a paper backing that is scored on the back for easy removal and exposure of sticky side. * Circles are hand punched and come in a re-sealable cello bag. I love these tags so much and so does everyone else! I will sometimes attach the tag to a gift bag or if I feel ambitious I will use giftwrap and paper tape and attach the tag there. Either way it looks so nice; it makes everyone feel special too. They ask if I made them and I laugh and say NO...then I ask if they know about Etsy. I tell everyone about your store. Thanks Jennifer! Paperjacks rocks! I have re-ordered these many times. My handwriting is getting terrible and with custom labels I have nothing to do except for collecting the thank you's for my gifts! You are the super-star who did all of the hard work! Thank you!!! Love the tags; love your darling store!